Zoom Player - Хороший видеопроигрыватель с множеством продвинутых настроек, удобным интерфейсом и поддержкой скинов. Не требует излишних ресурсов, обеспечивает качественную картинку. Поддерживает основные форматы видео и аудио, умеет считывать и отображать информацию из ID3 тегов, при наличии соответствующих кодеков (WinDVD, PowerDVD и др.) может выступать как DVD плейер. С качестве оболочки для DVD умеет работать только Professional версия (shareware). Стандартная версия абсолютно бесплатна и позволяет без проблем проигрывать любые видеофайлы. Zoom Player is a robust Media and DVD Front-End Player. Zoom Player Max was designed to be simple at first glance while being remarkably dynamic and flexible when used to its full potential. Zoom Player works in two modes. A Media mode which can play any file supported by DirectShow (any file which plays in MediaPlayer) and a DVD mode which uses pre-installed DirectShow DVD filters to play DVD content. - Extensive play list support. - Media Library for easier file navigation using a remote device. - DirectShow Filter Manager for resolving filter conflicts. 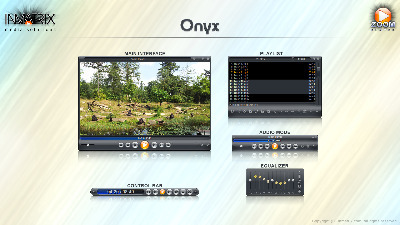 - Easy access to popular audio/video interfaces. - Fast forward support for all Media files. - Manual Graph construction on a Per-Extension basis. - Manual DirectShow filtering system. - Folder Images for Audio Files. - Enhanced Play Back control. - MP3 ID3 information visualization. - Support for advanced file formats (such as OGG/OGM). - Rewind support in all media formats. - Auto-Play Media CDs on insert. - Hardware Filtered Image Slideshow capability. While some of the settings may seem intimidating, you can rest assured that the on-line help covers each function in detail. Be it Keyboard, Mouse or Remote Control, ZoomPlayer was designed for you. * New skin constants , and . * More functions added to the TCP/IP interface. (Advanced Options / Filter Control / Settings). function to any key for complete keyboard automation. set of navigation class (see default.key for more information). - File sorting in the File Navigator would glitch on certain conditions.